PS-This poem is a tribute to my fellow blogger who have given me a few accolades in form of their awards! I treasure each one of them and I only do not pass them around as I consider some of the blogger far more creative, skillful and stand towering above me! Also, for me the journey is only a few months old.In this constellation of stars, I find myself still not equipped well enough to hand these down to so many great writers I have come across! I treat myself as a student attending a Kindergarten school!Thanks a lot once again! What a great piece- and I must say if you are a beginner than I'm barely out of diapers ;) Always enjoy your blog posts and find that I've learned a lot from them. Congratulations on your latest award, Rahul! You are deserving of every single one! Wonderful poem and I'm chuckling at the inspiration of you considering yourself to be in writer's kindergarten school! dats so sweet of you ...so humble n courteous! And everyone feels the same way too - "How I wish, I was a child again, Be in this class and frolic with disdain." This is SUCH an adorable post, Sir! LOL -you're humble. But it would be great to have that unlimited child-like joy again. No doubt, we are always student to learn something every day. Very well written lines! Feeling like a school going child...nice! I enjoy reading your post, Ramakrishnan Sir! I like to be a child.. and I am sometimes. Great written and grats with award. @ Princesa Fiona- Thanks a ton for your lovely comments!They will keep me going with greater zeal! @ Harman- Thank you for that kind remark! @ Binu- To be like a child is perhaps the best feeling! @ Single Girl- Am so happy that you liked and am grateful for your best wishes! @ Crystal- Aayushi, good to see you back! Hope you had a nice sailing through your exams!Wishing you a very happy and rewarding year too! @ Zuzana-You are so right! The life itself is the biggest teacher! @ Mirage- Vinati, am happy that this made you smile!Thank you for your sweet comment! @ Lady Fi- No other joy can be greater than reliving a childhood! @ Jeevan- So true! Thanks a lot for liking! @ Andrea- Thanks a lot! @ Sandhya- Thanks a lot for liking! @ PhilO-Juhi, Hope you had a wonderful start to the New Year! Thanks for your nice comment! @ Spiderdama-Tania, so true! Love to bring out the child in us once in a while! i think this is an amazing poem and that you are way to humble, that's why i love your blog!! Hi Rahul, Its so good that I read this poem today because I was chatting to my cousin who is in Kindergarten and everything you wrote about, she told me something similar about her school. I want to share this poem with her if thats okay with you? @ Francesca- Thanks for your kind words! I am happy you liked! What a lovely poem! You write well..
Aaaah ditto. I can never pick favourites among my blogger friends. How adorable and what a cute poem. Congrats on your awards! But kids nowadays drive their teacher up the wall! Believe me it's the toughest job on earth but then it has it's beautiful moments. @ Eden- Thanks a lot! @ Rachna- Thanks a lot for liking! @ Purba- Totally agree! At the same time it is one of the most satisfying one to groom a whole new generation! @ Ashwini- Thanks for those kind words of appreciation! 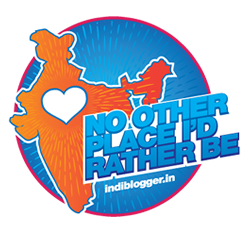 @ Alka- I read your blog regularly as I follow on Indiblogger:)Thanks for your comment! @ Ash- Thanks a lot for those nice words! @ Irfanuddin_ So kind of you for that comment! Thanks! @ Kalai- Thanks for liking this poem! 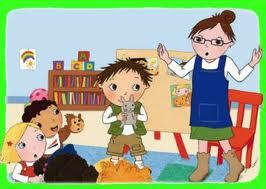 So happy to learn that your son will be joining the play school tomorrow. Convey my love to him!